Where is it? When can I go? What’s there? Need a place to build something? We've got you covered. Over the first few years of the Co-Lab Studio, we provided great resources and support through our single location at the Technology Engagement Center (TEC). But Duke is a large campus, one spot for work just wasn’t enough. Over the last year we’ve added two new locations on East and Central Campuses. Maybe three labs will be enough. The Co-Lab Studio is located in the Technology Engagement Center on the first floor of the Telcom Building, West Campus. Completely renovated in the summer of 2016 to house the Co-Lab as well as a variety of other IT services, including TEC VR. The Ruby Makerspace is located in the back of the Rubenstein Arts Center and purpose built to give arts minded students access to tools that would accelerate their creative works. The makerspace located in historic Lilly Library is near the front door on the first floor. This fabrication outpost supports a variety of small tools and fifteen 3D printers. 3D scanning is also available in this space through the front-desk checkout program. The Co-Lab Studio is staffed by student employees for the hours shown above, however the Technology Engagement Center, including the main Studio, will be accessible by DukeCard 24/7. The Garage, our special area supervision-required tools, is only available during staffed hours. 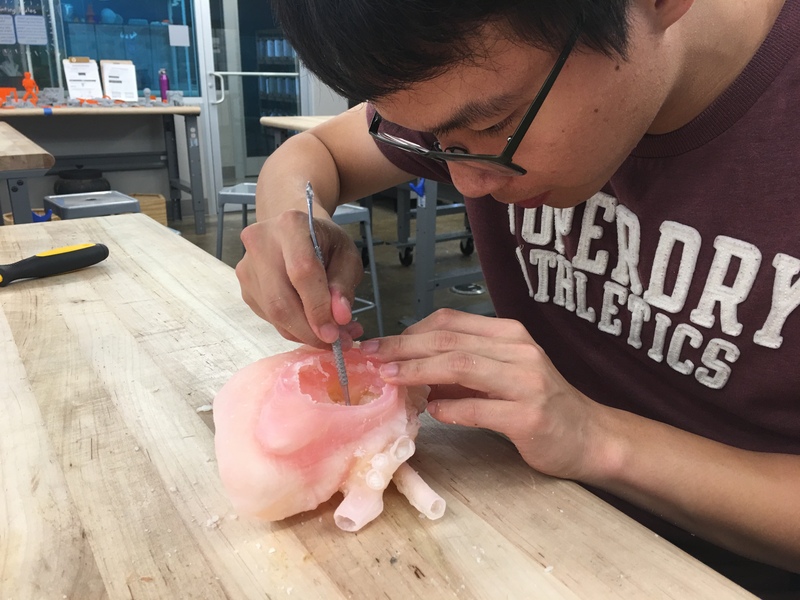 The philosophy behind the Innovation Studio is to have a one-stop shop for anyone, regardless of skill and experience, to come in and be able to make a product through an iterative design process known as Digital Modeling and Fabrication. The studio has all the equipment that you need to conceive of, design, and prototype all kinds of products and designs. PLA filament is provided. Printers can be reserved online and loaded with “bring your own” filaments (ABS, PETG, soluble support material, etc). 15 Ultimaker 3’s - FFF (Fused Filament Fabrication). Dual extrusion, approx 9” x 9” x 9” build area. 25 Ultimaker 2+'s - FFF, single extrusion, approx 9" x 9" x 9" build area. Very reliable workhorse. 3 Ultimaker S5’s - FFF, Dual extrusion, approximately 14”x13”. A large printer for big ideas. 5 Ultimakers 2+ Extendeds - Approximately a 9"x9"x12" build area. These are just like the Ultimaker 2+'s but taller. 5 Ultimaker 2+’s - FFF, single extrusion, approx 9" x 9" x 9" build area. Very reliable workhorse. 5 Ultimaker 3’s - FFF, Dual extrusion, approx 9” x 9” x 9” build area. 10 Ultimaker 2+’s - FFF, single extrusion, approx 9" x 9" x 9" build area. Very reliable workhorse. 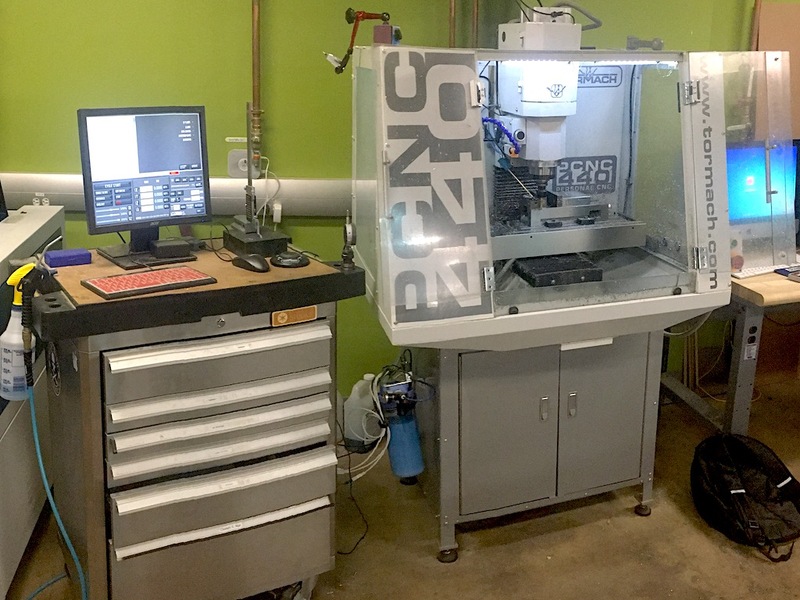 In addition to the general-access makerspaces, the Co-Lab operates the Bluesmith 3D Printing Service. This provides cost-recovery access to advanced 3D printing technologies. These printers allow for different materials and higher resolutions. This service is accessed through the Bluesmith Portal. High Strength 3D printer for making "usable parts" that are orders of magnitude stronger than traditional 3D prints. Prints a Nylon base material with optional reinforcement via continuous strands of carbon fiber, nylon, or kevlar. SLA (Stereolithography). UV-curing resin with approx 5.5” x 5.5” x 6.5” build area. Completed print requires both postprocess cleaning as well as 24hr UV curing. Substantially higher resolution prints than the Ultimakers and affording different geometric print possibilities. Layer height of as low as 25 microns with 140 micron laser spot size. Large format 3D printer. This is a standard FFF printer in concept but with a very large build volume. This printer can create objects just short of a cubic meter. A laminate 3D printer that allows for full color 3D printing. This system uses standard copy paper reinforced by mastics. Because it is paper, photo printing processes can be applied to achieve realistic surface textures. An amazingly accurate system with “meltable” supports. This system creates extremely precise parts with crisp edges. The support material uses a heated removal strategy that requires only that we place it in an oven for a few minutes. 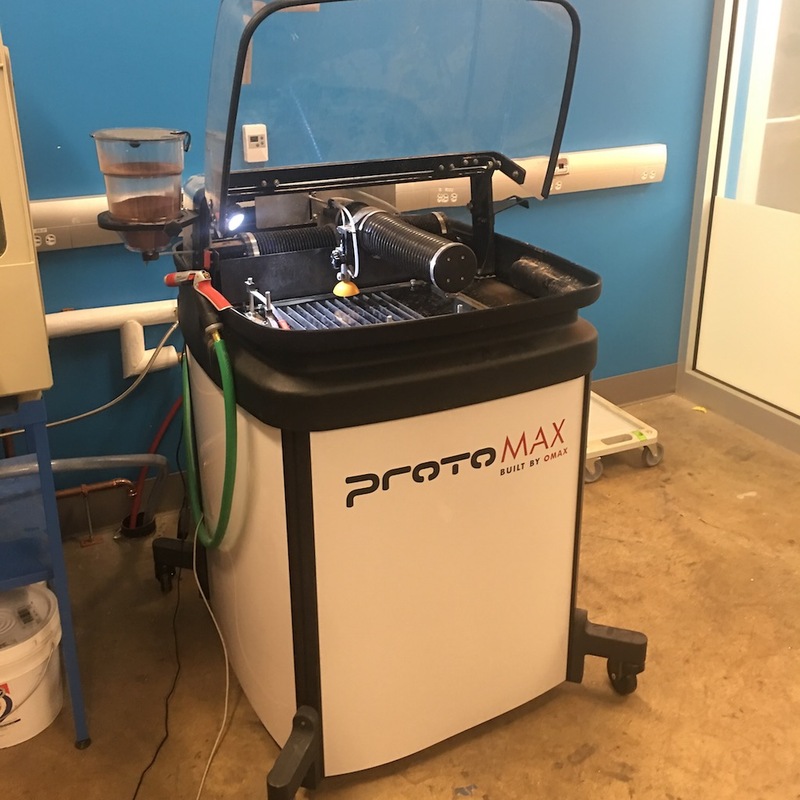 The king of the hill, state of the art polymer 3D printer. This system allows us to print with a variety of materials...all at once. This lets us mix materials in interesting combinations for full color prints and digital materials that have novel properties. The build size is very large and allows for a two cubic foot build volume. 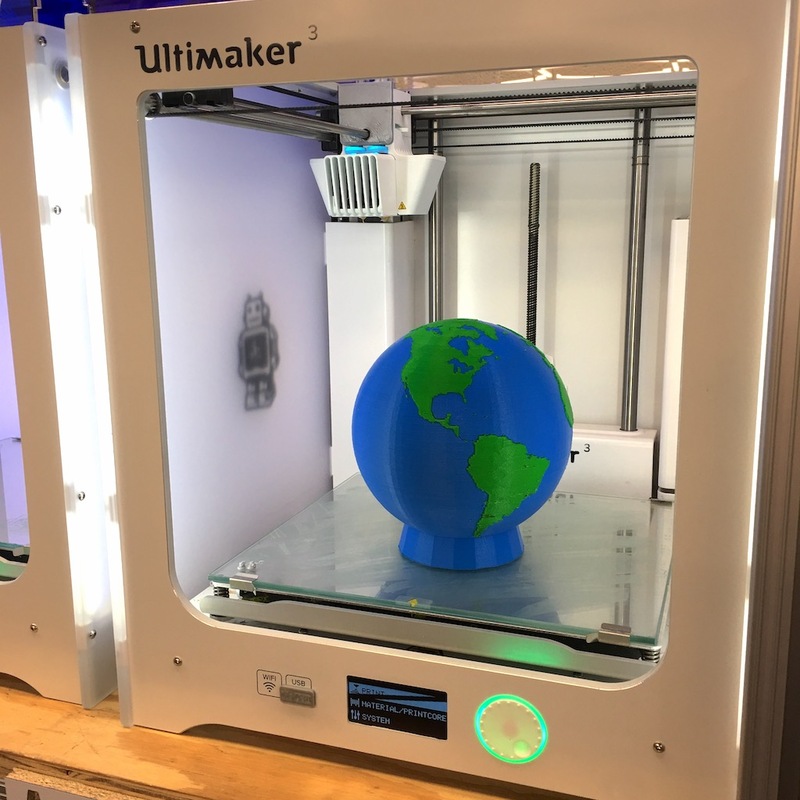 Our 3D printers are connected to and managed by a cloud system called 3DprinterOS - www.3dprinteros.com. This open platform is licensed by OIT for all of Duke. Any member of the Duke community can use this software to manage their print jobs; even remote printing is possible. Stop into the lab to get a quick run down about how to use the system. To get started with 3D printing at Duke, we have a full online course available at Duke Online. The course will get you up and running on our 3DPrinterOS system. Check it out at Online Duke 3D Printing Course. All of our CNC (Computer Numerical Control) machines require staff supervision. If you'd like to use these tools, please visit during our staffed hours listed above. 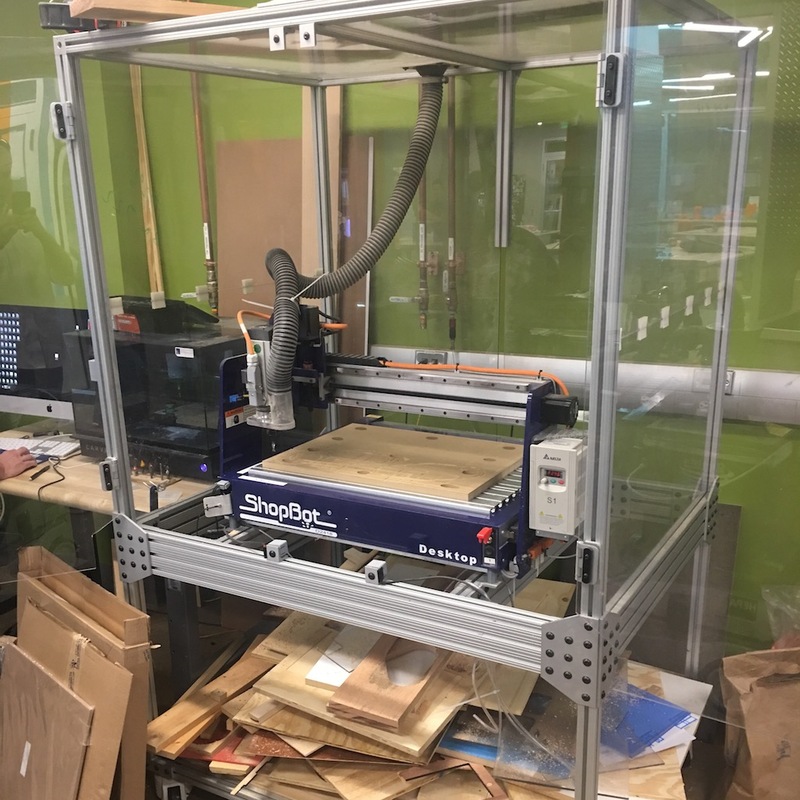 The Shopbot Desktop is a 3-axis CNC router capable of cutting wood, plastics and soft metals, such as aluminum and brass. It can cut materials as large as 18” x 24” x 5”. The Carvey is an entry-level CNC machine for doing small work or just getting started in this field. It features an 11.5” x 8”x 2.75” work area. It features a web-based interface and incredibly simple to use - a complete novice can have a basic design cutting in less than 10 minutes. The Tormach is a true CNC mill. It is not used for wood or other fibrous materials, however with the correct tooling is capable of cutting plastics, non-ferrous and ferrous metals - up to and including stainless steel and titanium! The Tormach 440 is our only CNC machine to have available flood coolant. It features a pneumatic drawbar and removable drill chucks with dedicated bits for rapid and precise hole boring. We are excited to introduce waterjet cutting to the studio this year. This machine lets you cut virtually any material up to an inch thick using only water and sand. It’s working area is 12” x 12” but it can accept material up to 16” x 24”. Like the CNC mill, this machine can easily cut through the hardest metals but unlike, it’s extremely easy to operate. Most of our users will find the experience and learning curve similar to the laser cutters. All of our laser cutters require staff supervision. If you'd like to use these tools, please visit during our staffed hours listed above. 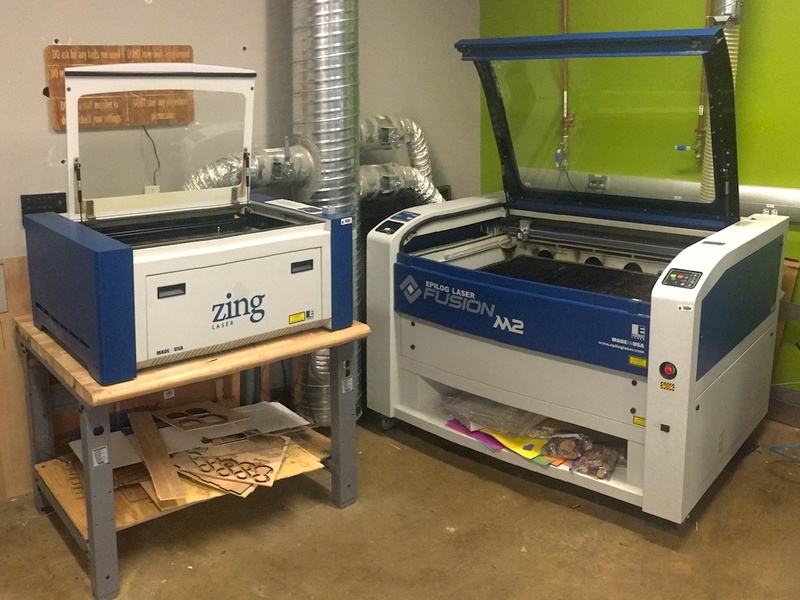 Two laser cutters; an Epilog Zing, desktop-style 30 watt CO2 laser cutter, and a larger Fusion M2 60w standalone machine. It can operate in two different modes: raster and vector. Raster mode is for engraving into the surface of materials. You can take photographs/images/text/etc and use the software to engrave into a variety of materials, including wood, some plastics, some metals, and acrylic. Vector mode is for cutting custom shapes through thin materials by using a slow moving, high powered laser. Our flagship laser, the Trotec Speedy 400 80 watt CO2 system is located there. With closed-loop control, this system lets you get the most of your material. We have seen users easily cut through ½” wood. 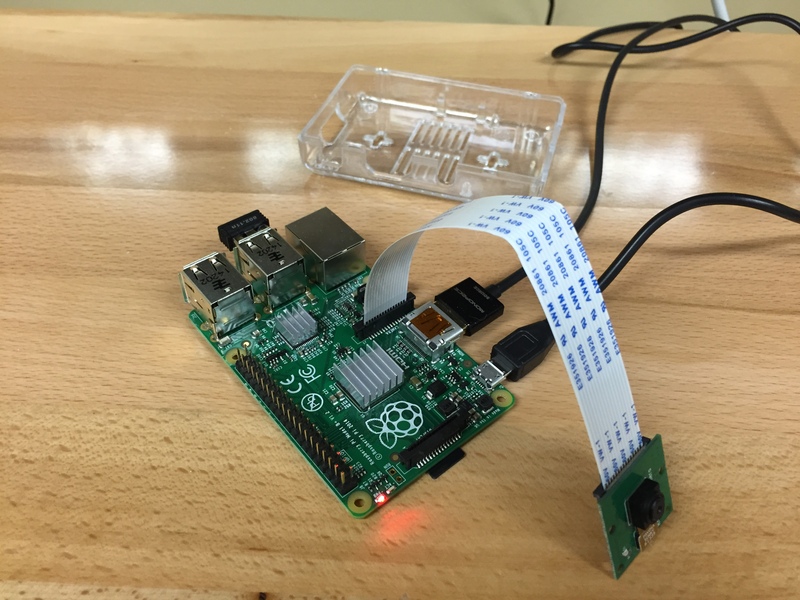 We have a variety of electronics for use in the Studio, including a few Arduinos, Raspberry Pi's, and an assortment of sensors and accessories. We also have wires, resistors, and a breadboard or two for setting up quick circuitry. Soldering equipment, power supplies, oscilloscopes, multimeters, and a few other items are also available for use. We have twelve 27" iMac Retina 5k workstations for advanced 3D modeling and rendering spread throughout the three labs. These machines feature maxed out specs for quick work of details operations. These systems are also loaded with the softwares that can control our CNC and laser machines. Users of the Co-Lab Studio have the power to make and build amazing things, but must also be responsible and abide by official Duke Policies. This includes, but is not limited to, the production of weapons, real or realistic-looking, drug paraphernalia, and other inappropriate items at the discretion of Duke Staff. Please refer to Duke’s official policies for more information.